Whittaker Paving ltd was founded in 1979 by Nigel Whittaker. Since then we have transformed literally thousands of Driveways and Patios across Sussex and the South East of England. In more recent years son of Nigel, Daniel took over the company and Whittaker Surfacing was formed to expand into larger tarmac surfacing projects. Resin Bound Gravel has also been a focus of Whittaker Paving. This is due to its fantastic durability and sustainability. This said however, Whittaker Paving still takes great pride in installing beautiful, traditional driveways. We have dedicated teams of professionals in both paving and tarmaccing sectors, all individually experienced in working on domestic and commercial projects. We pride ourselves in undertaking and very often exceeding our client’s expectations. We have built an outstanding reputation and enjoy excellent relationships with our long-term clients. Whittaker Paving can take on projects both large and small. We undertake a wide range of projects throughout Sussex and the South East of England for domestic and commercial clients such as councils and schools. As well as working closely with some local housing developers. We are more than happy to discuss any of your requirements, ensuring that you have a clear picture of what your work will look like upon completion. 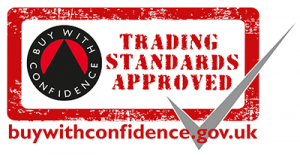 Whittaker are dedicated to providing a professional expert service. The following are some key features of a Whittaker Paving project. To discuss your project and to arrange a free consultation at a time convenient to you, please contact us. Complete service. Whittaker Paving provide a complete service from consultation and planning to design, build and post build review. Dedicated personnel. The Whittaker Paving team are committed to your project from inception to completion. Attention to detail. Whittaker Paving know that the little things matter, from the positioning of a plant pot to sweeping up after ourselves. Pride & professionalism. Whittaker Paving add space and value to your home, delivered professionally with the minimum of fuss and disruption. Environmentally conscious. We use sustainably sourced materials, and recycle where possible to avoid landfill which include not using skips if possible. Costings commitment. Whittaker Paving provide realistic, detailed quotes, and strive to keep costs down without compromising on quality. 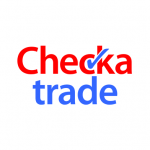 We are vetted and recommended by Checkatrade.com and fully approved by Trading Standards. Our focus is on Customer Satisfaction and their recommendations to friends and family. Buy with confidence.